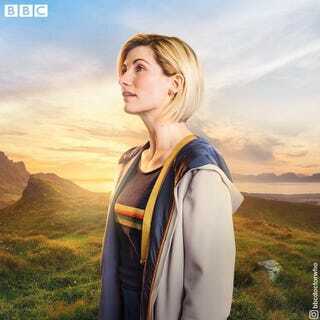 The official Doctor Who instagram has released another official photo of Jodie Whittaker as the Thirteenth Doctor in her new outfit, in addition to the previous photo of her in the same outfit. The difference? Well, in this photo, she looks much happier, which is nice. The photo comes from the issue from Doctor Who Magazine that came out today.